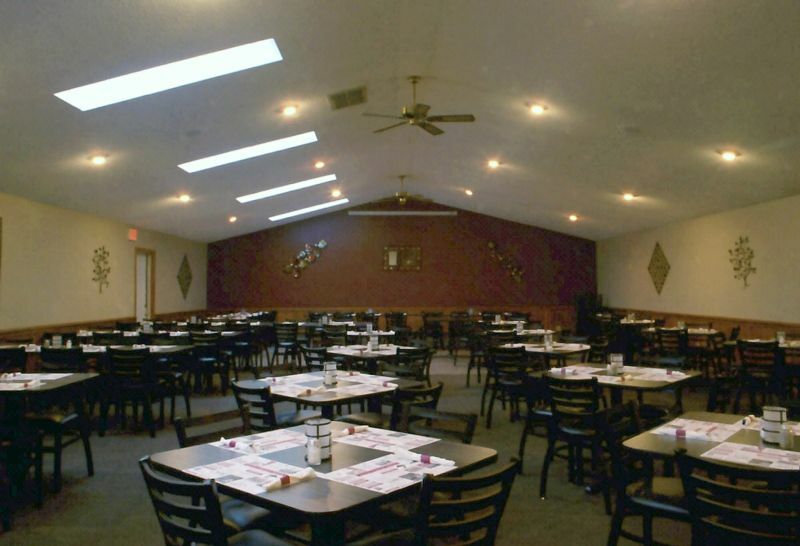 I haven't been to Ishnala Supper Club in a long time. More years than I have fingers and toes. I think it was in 1955 the year before I went into the army and moved from Wis.
Long time for me too. 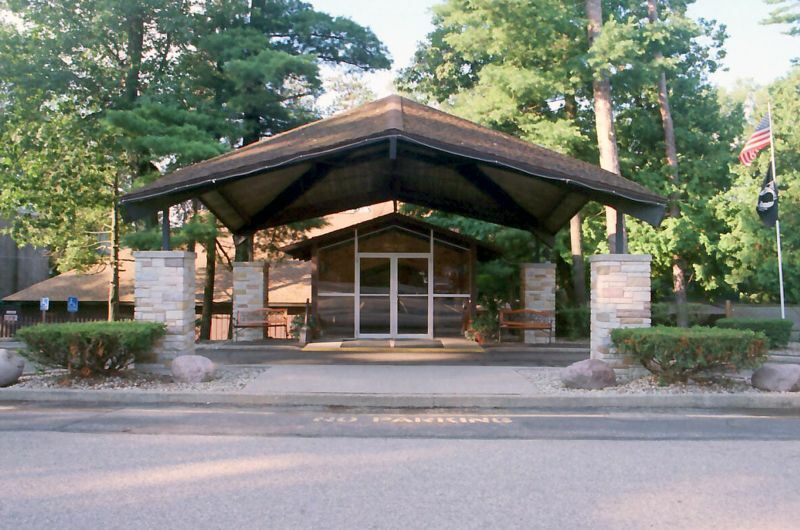 I'd go with my parents in the '60's when we stayed at Lake Delton. I don't think we ever ate there, my folks would get cocktails and we would explore the grounds. 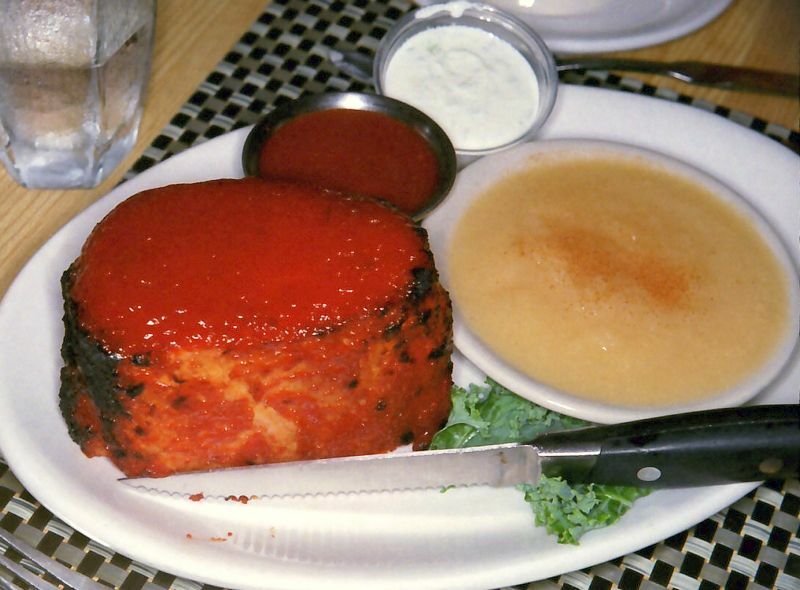 BTW - Ishnala was a Recommended by Duncan Hines restaurant. Ishnala garnered 152,080 votes, more than a third of the 400,000-plus votes generated by the year-long contest conducted by the Wisconsin Department of Tourism and its website. Thanks for that link Brad. I have passed #4, Chissy's, hundreds of times and never thought about stopping. I think The Contingent will be making a stop there, once they figure out Where's Waldo? 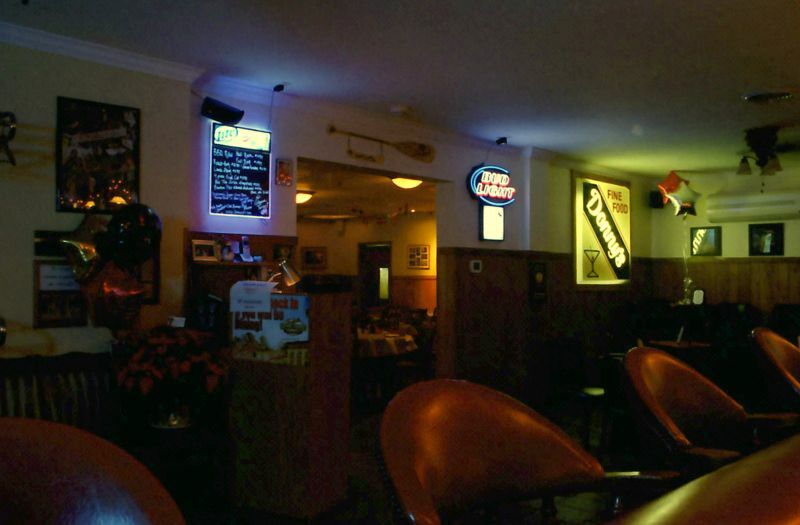 To be honest a name like Chissy's Pub & Grille would make a lot of people think "sports bar" instead of "supper club". 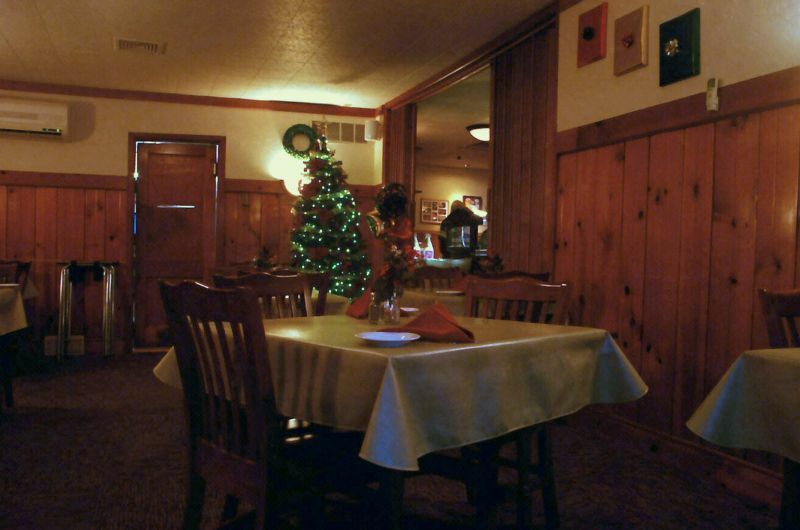 DorfHaus is a great supper club that has outstanding German food. I always get the pork shank when I eat there. 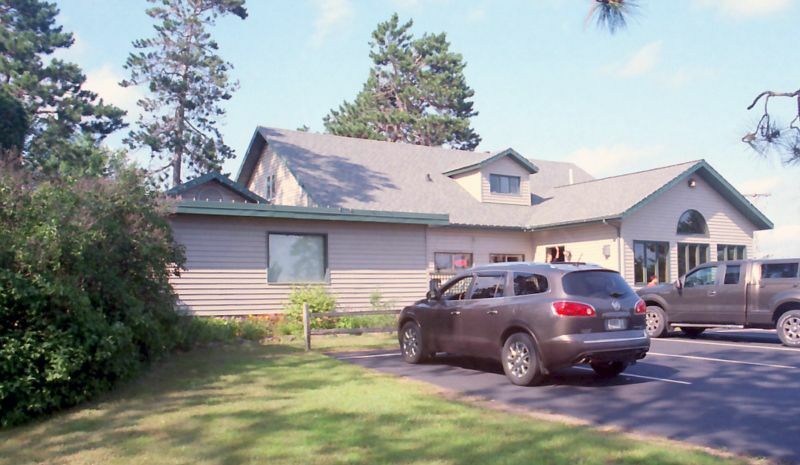 It's located in Roxberry Wi which is a very small town hand has that small town friendliness. Near Sauk city if you don't know where Roxberry is. That's nice country up that way; I've driven 78 between Sauk and Mazo a number of times...was Green Acres around back then, either as itself or under another name? Unfortunately I've never been to either. 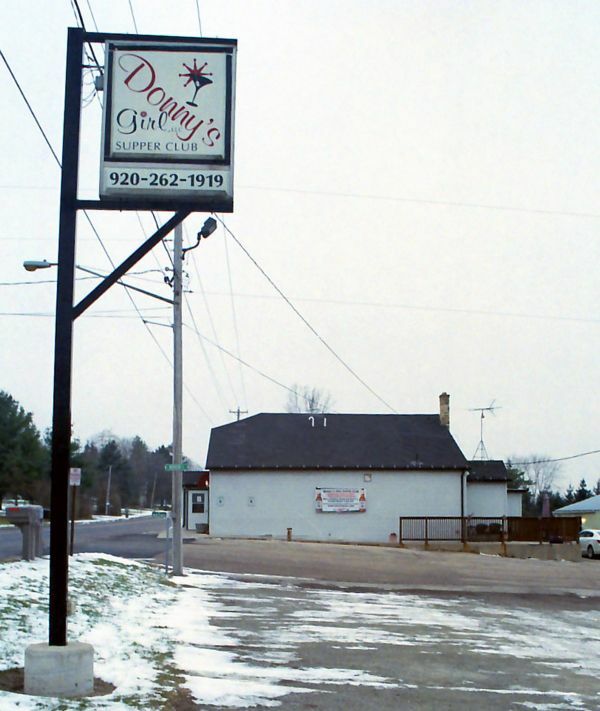 On a dreary day a week before Christmas I took a drive up to the hamlet of Pipersville and Donny's Girl Supper Club, which had been on my radar for several years and is also featured in Wisconsin Supper Clubs: Another Round. 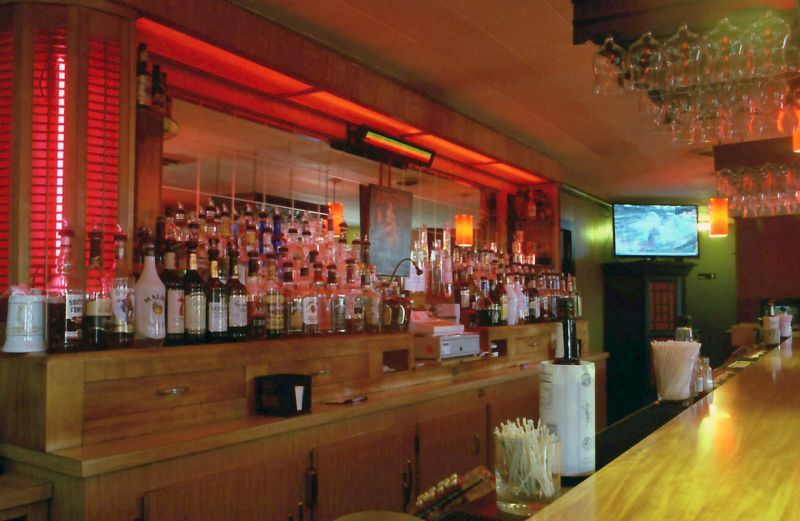 The bar area, a critical component of a credible supper club. 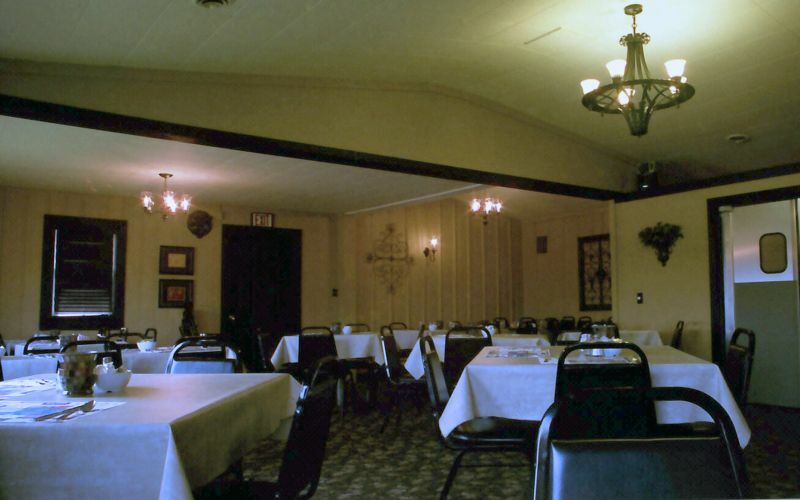 The larger of the 2 dining rooms is through the archway. I was seated in front of the window in the smaller dining room. The smaller but nicely appointed salad bar can be seen just through the doorway. Sweet with fruit. Accept no substitutions. Warm bread and real Wisconsin butter. I could've polished off the entire loaf but managed to exercise some restraint. This may have been the hottest crock of BFO I've ever been served; it stayed plenty warm for the entire time it took for my entree to arrive. And it was also extremely good, which meant I burned my mouth. But it was worth it. As it was Sunday my first choice for dinner was fried chicken, not only because I like it but also because Donny's serves family style fish and chicken on Fridays and I wanted to see if it might be worthy of a Contingent dinner. 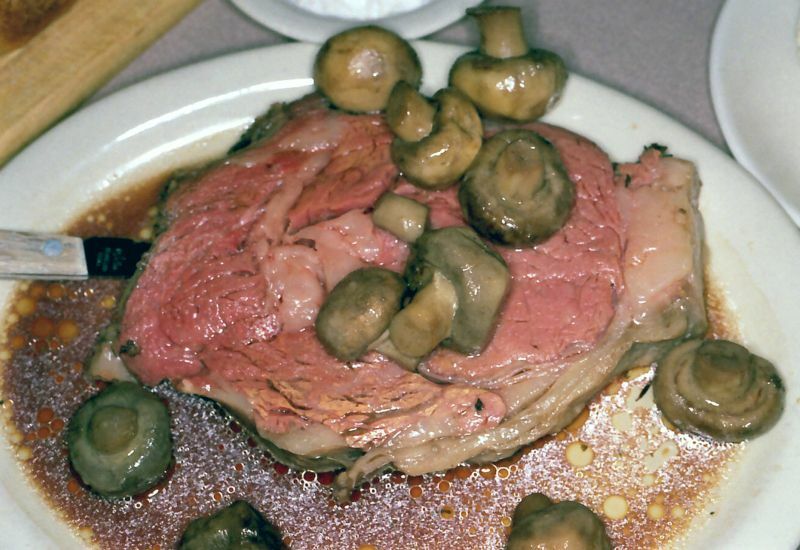 However, when I mentioned it to the actual Donny's Girl (she was tending bar that afternoon) she pushed me toward something a bit more hearty and since prime rib isn't limited to Saturdays I went that route. IT was a very nice piece of beef with good flavor and one of the more well-done and rosemary-seasoned crusts I've come across. What a great and reasonably priced menu but the key for me is the "About" section. What a great story. I'd be in for just about any night once the sun shines a bit longer in Spring. Sounds like a plan, especially if some others want to come along. Incidentally, I forgot to mention the potatoes that were on my plate. 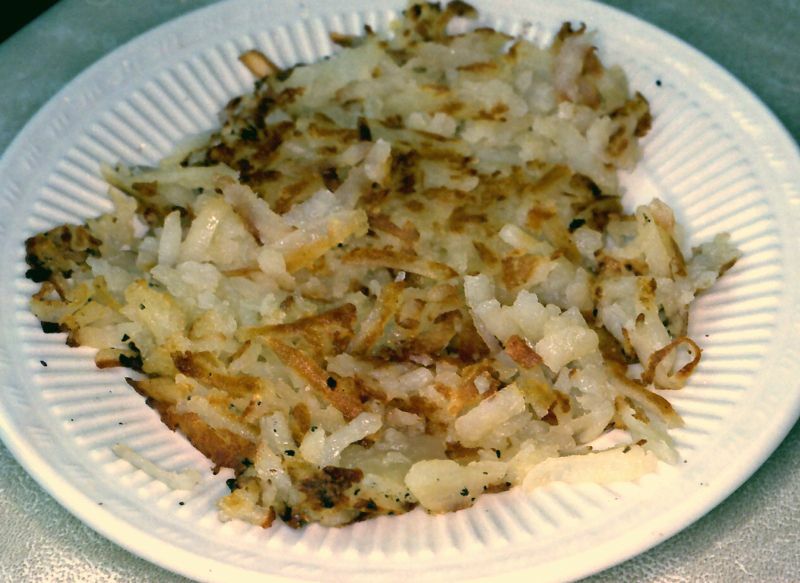 IIRC they're called "Irish browns" and are small potatoes that're boiled, given a quick dip in the fryer, and finished with a drizzle of butter. Excellent! Your meal looks terrific and I cannot believe the price for the duck! I would have to eat there two nights in a row. My wife and I had a Saturday dinner there a few weeks back. 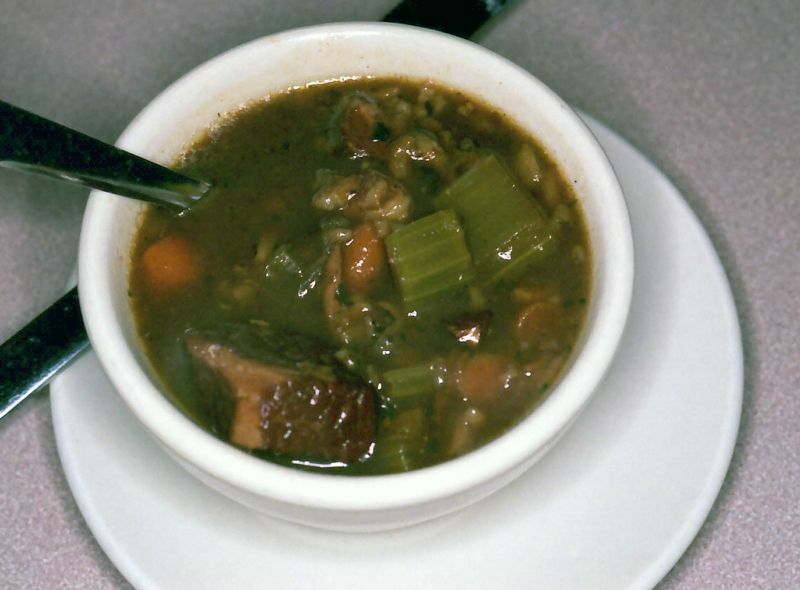 I started with a cup of good beef soup from the soup & salad bar; interestingly, Maple Tree doesn't have baked French onion soup on the menu. 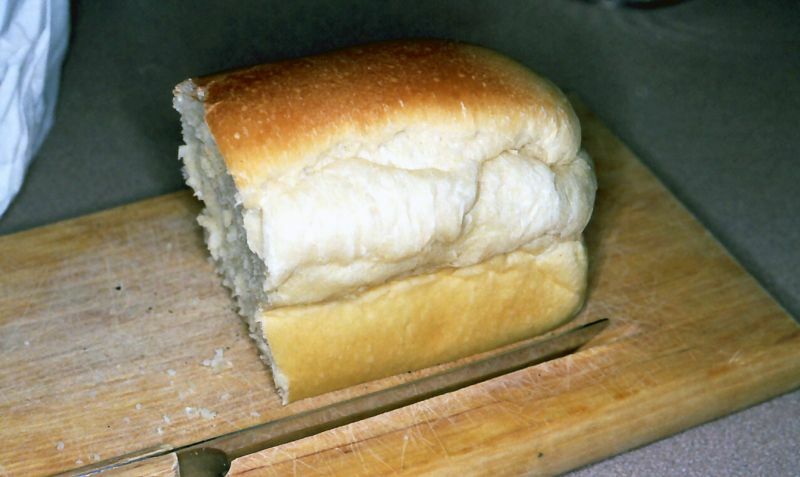 I could easily eat a whole loaf by myself...with butter, of course. 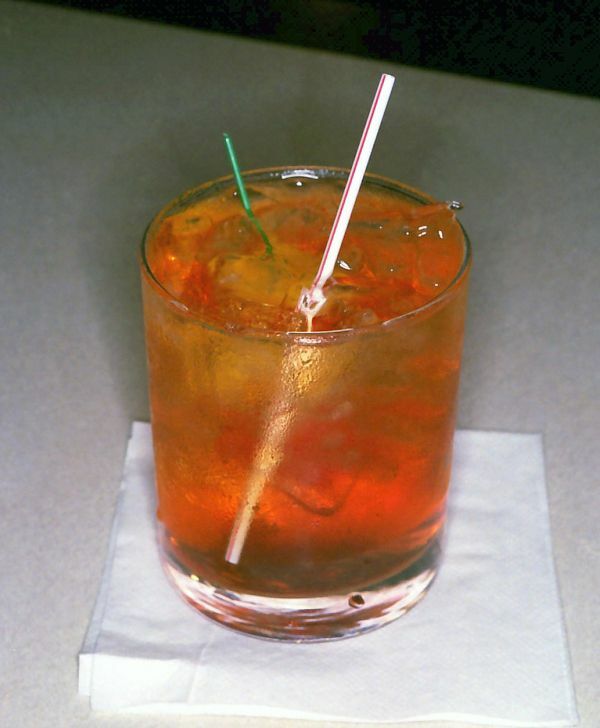 My first BOFS was fine but something went horribly wrong with the second, as it tasted like a brandy manhattan made with way too much dry vermouth. Mrs. C's very good walleye. 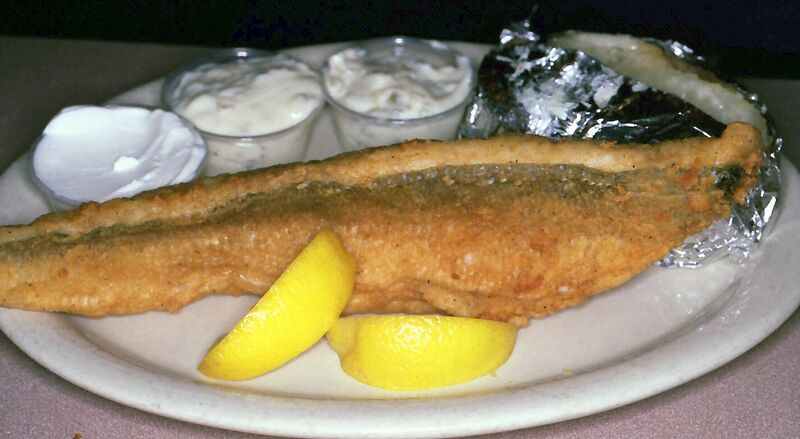 Believe it or not, some people do order fish on Saturdays! But not me. 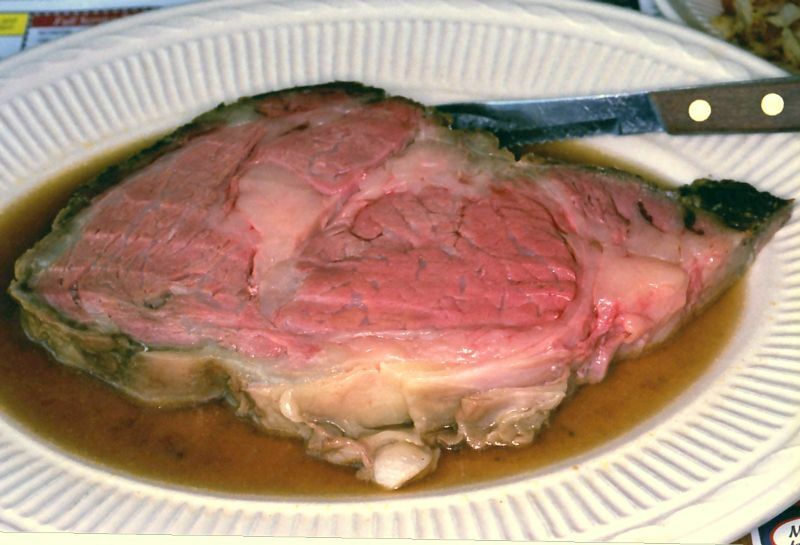 Saturday is Prime Rib Night; accept no substitutes! The crust and seasonings were fairly mild and complemented rather than overpowered the beef. 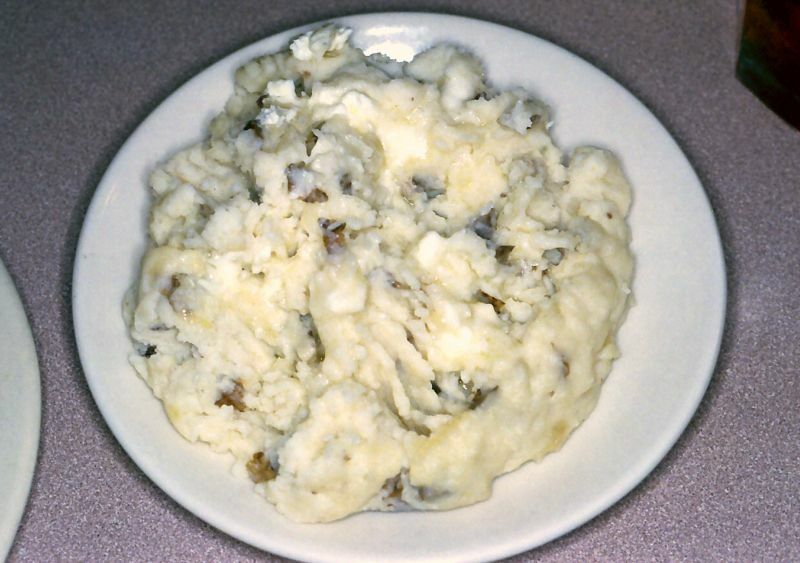 The garlic mashed potatoes aren't what I'd consider to be strongly flavored, but they're excellent just the same. I don't know this for sure but I'd be willing to bet that when the building was first constructed the surrounding area was fairly rural. Now that it's been developed with a strip mall, a couple of gas stations, a Culver's, etc. Maple Tree might look just a little out of place, but its design will, to me, never go out of style. Based on Brad's review, we are even more interested in going to Donny's Girl (but at a time with no snow in the parking lot). Shall we make this the next Contingent supper club? I just had a bout of deja vu. 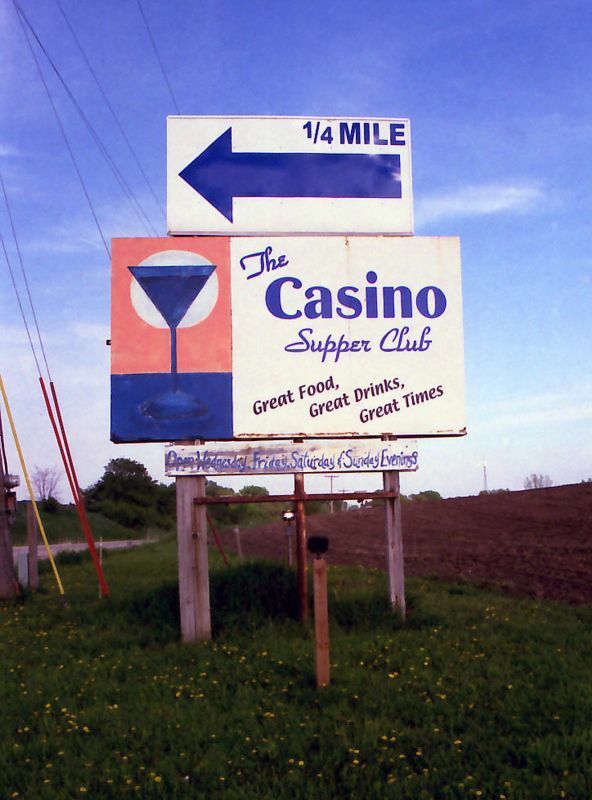 Just outside of Fall River is the Casino Supper Club. I always like seeing a roadside sign pointing me in the right direction. 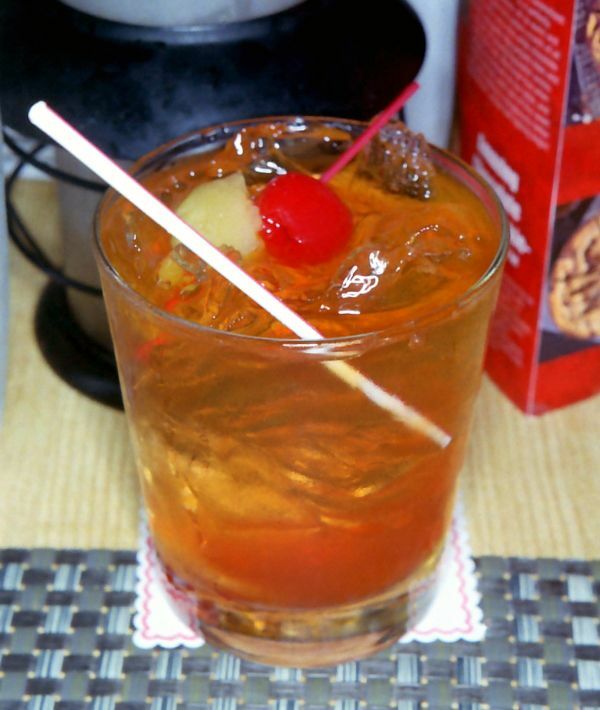 A good supper club has to have a good bar. IIRC the bartender's name was Sara. Sara made 1 (2, actually) of the best BOFs I've had in a long time. The bar opens at 4 and service starts at 5. Like the Maple Tree I visited a couple of weeks earlier, the soup is on the salad bar for self-service. 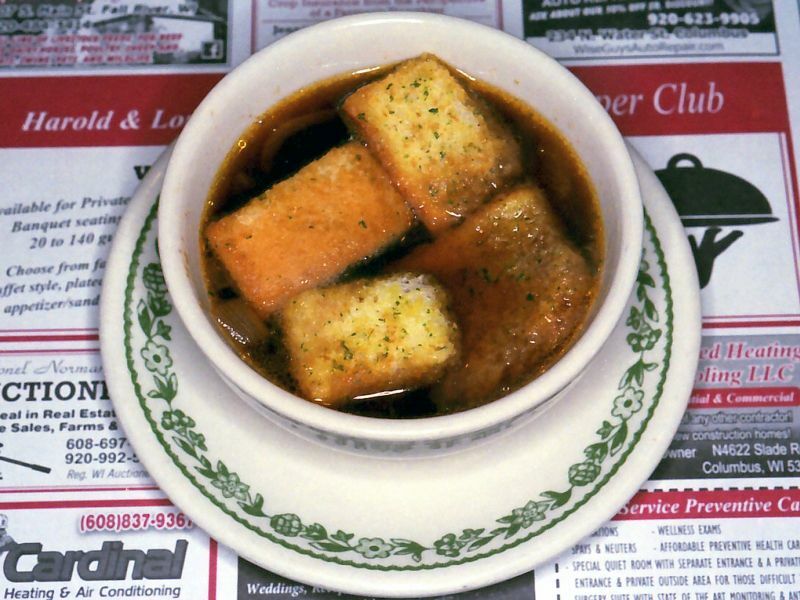 No BFO on the menu but as it was Saturday night regular French onion was available. 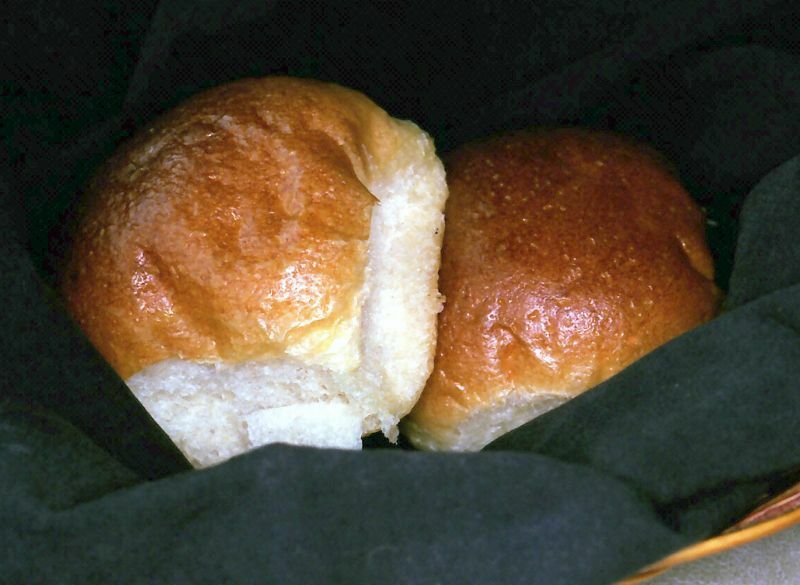 The rolls were simple but good. I would hope that larger baskets occasionally contain a rye roll or 2. It seemed like the crust had less salt than some others I've had but at the same time it had a slight hint of garlic - not overpowering, just enough to let you know that it's there. This was a nice piece of beef; I took some of it home because of the lunch (Nite Owl) I'd had earlier in the day, and warmed it up in a skillet the next morning. 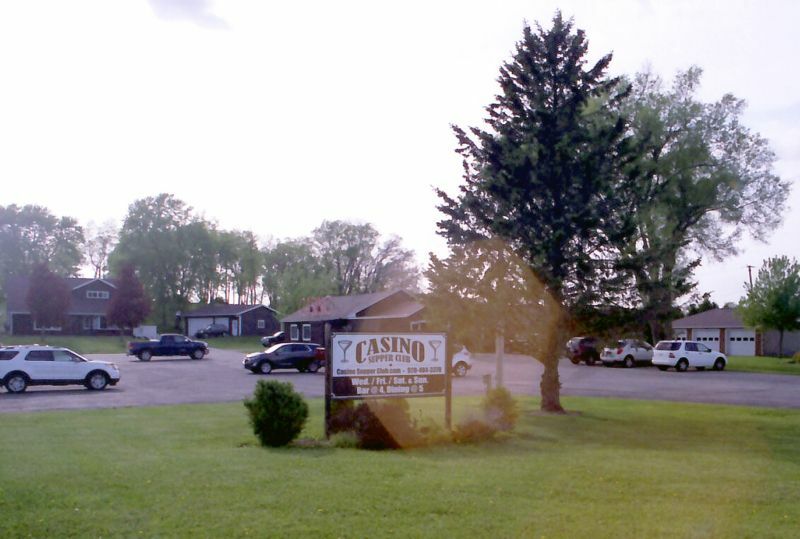 Casino pushed the right buttons for me: rural location, traditional atmosphere, good food, good cocktails, and very reasonable prices. 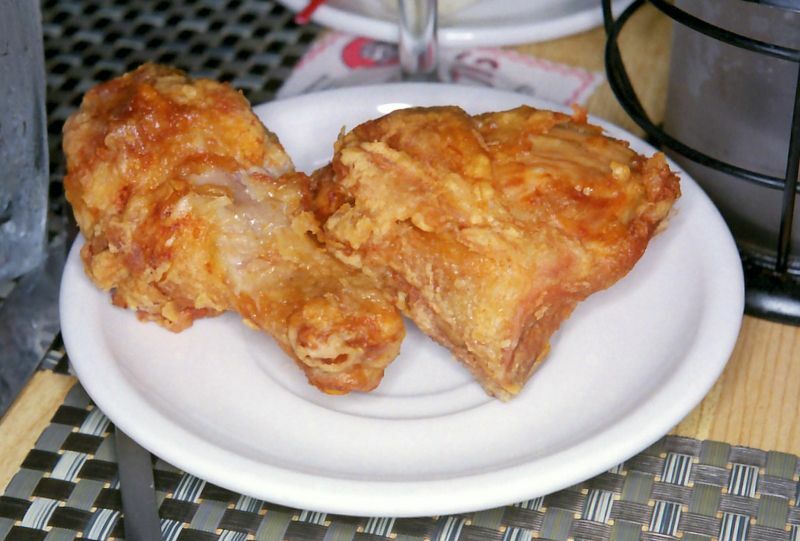 Plus one of the Sunday specials is AYCE broasted chicken, so there's definitely a chance I'll be returning! 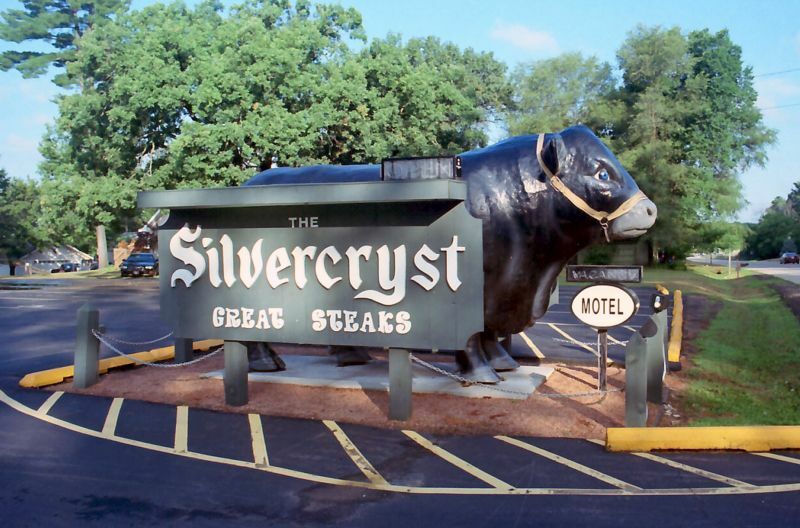 A couple of Fridays ago we left home for our annual vacation and our destination that evening was The Silvercryst, a 124-year-old resort/motel/supper club located just outside of Wautoma, WI. It'd been on my radar for some time and this year things worked out, and as a bonus we would be joined for dinner by JRPfeff and Pie Diva. The weather that night was lousy so these 2 photos are from the next morning, after the rain had moved on. I was very happy with my SDOW. 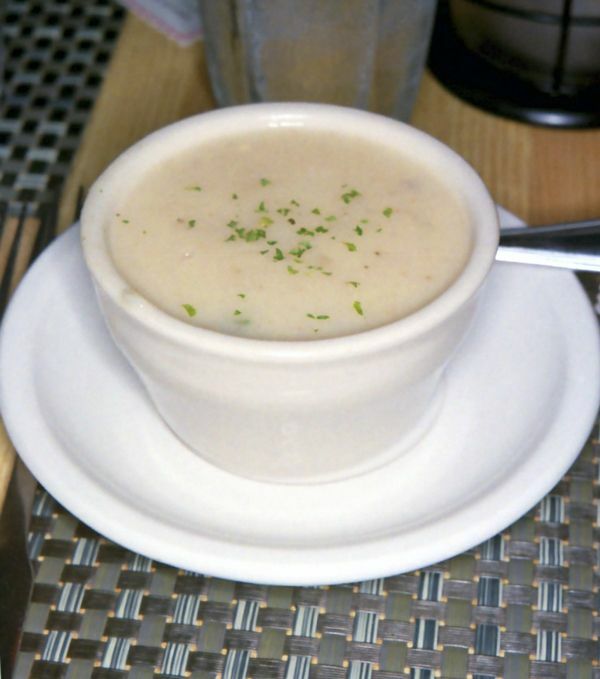 The soup that night was a pretty good seafood chowder, although I needed just a touch more salt in mine. I can't remember for sure what the fish was but I think it was either haddock or pollock. Mine was OK although the crust wasn't as crisp as I'd hoped for, and Mrs. C described her serving as being a bit rubbery. Those are "tri-taters" on the side...draw your own conclusions. 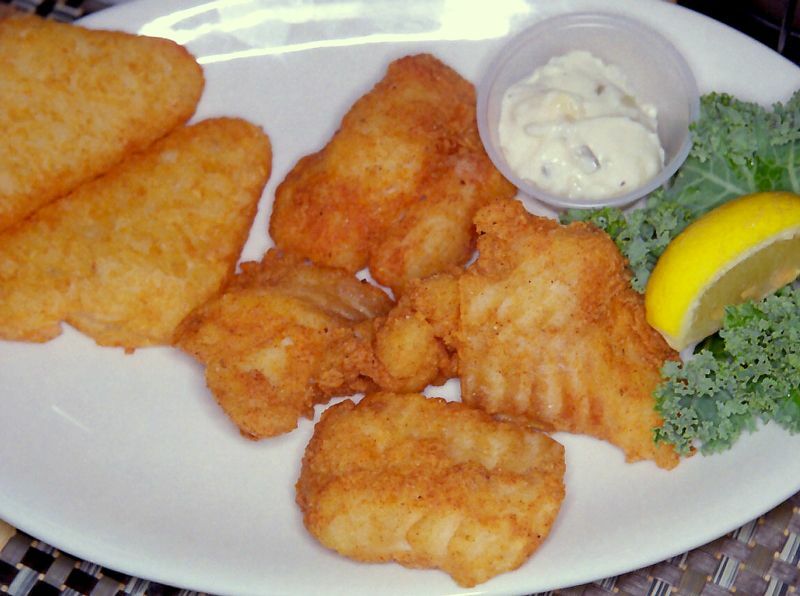 The fish fry also includes broasted chicken, which Pie Diva and I ordered after we'd finished the fish. Unfortunately it took a long time for the chicken to arrive; PD's showed up first and she was pretty disappointed. After another 10(?) minutes or so my dark meat order was delivered and it was actually pretty good, although like the fish the crust wasn't as crisp as I was expecting. JRP prefers land-based protein so he ordered the 1-pound boneless pork chop, and it was an impressive cut. He passed out samples and my wife and I both liked it; in retrospect I think it was that evening's winner. Overall, Team Chicken was a little bummed but not so much that we wouldn't give Silvercryst another try on a less busy night. A high-volume fish fry really can tax a kitchen and turn it into a sort of "fry it and fly it" assembly line, and if I had to guess I'd say that might've been our experience. Plus the sign next to Boris (the mascot) says "Great Steaks". 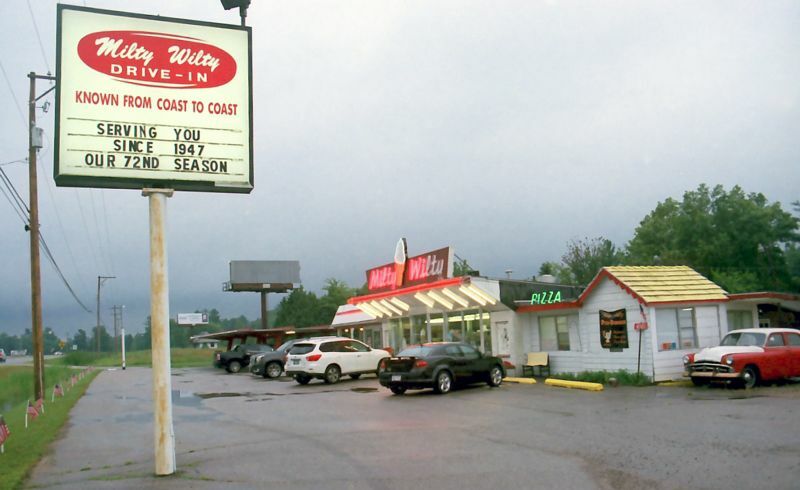 Even though dinner didn't quite meet our expectations we still had one more card to play: the Milty Wilty Drive-In, in business since 1947. I had a chocolate malt and Mrs. C had a strawberry shake, and they were a nice way to wrap up the evening. I always look forward to your supper club reports, Brad. Great photos and delicious looking food. Thanks. Great photography Brad, but the pork chop looked bigger in person. The flashcubes on my Instamatic didn't work, so my photos did not turn out. We agree about wanting to return. Silvercryst offers a steak special early each week that looks like a good deal. Our Butterscotch Malt at Milty Wilty was the best malt we've had recently (better than Leon's and Mazo's which we had earlier that week by far). Ahh the Milty Wilty... remember going there back in the 70's as a kid on Sunday drives with my parents. That place was retro then.. I can imagine now. Thanks! Wautoma is less than 2 hours from our house so a return visit wouldn't be an issue, although we'd be more likely to go on a Saturday. Also, there's a really nice Piggly Wiggly there; it's ground zero for the chain's Stoneridge line of meats and cheeses, and also has a dedicated "cheese cave". Moving right along, by the next afternoon we'd reached our destination and while we almost always stay in and cook on Check-In Saturday, this time I wanted to visit "Hayward's Original Steakhouse": The Ranch. 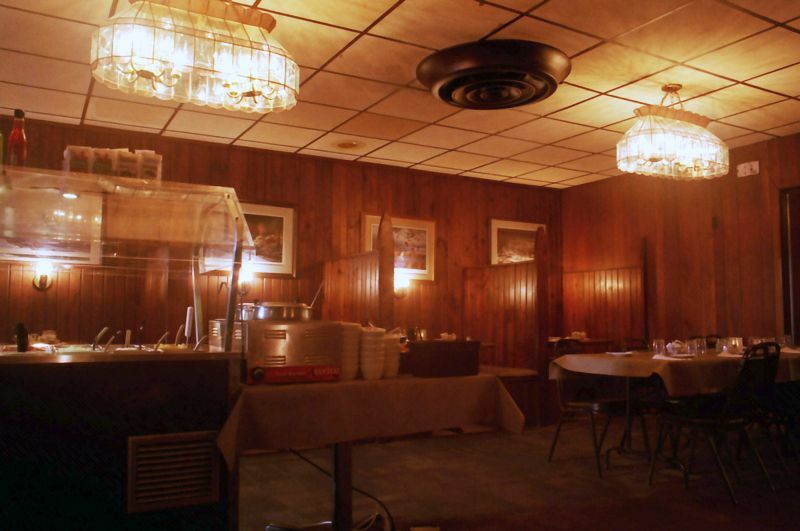 In business since 1931, it's as much a fixture of the Hayward landscape as the big muskie. 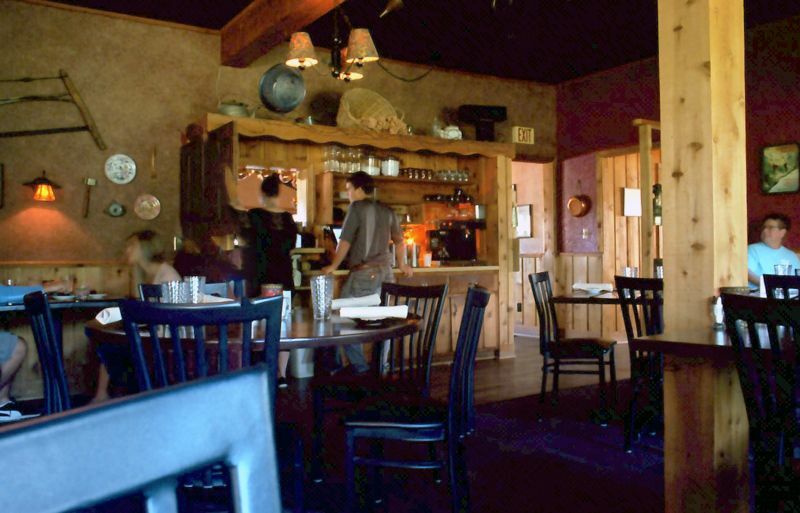 The interior very much reflects the Northwoods Look. 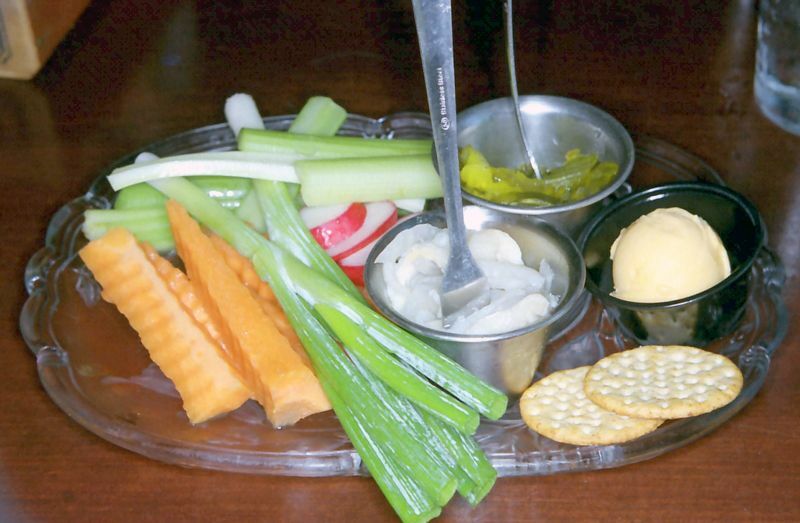 I was a little disappointed that the relish tray didn't have olives or cherry peppers, but the cheese and pickled herring were quite tasty. 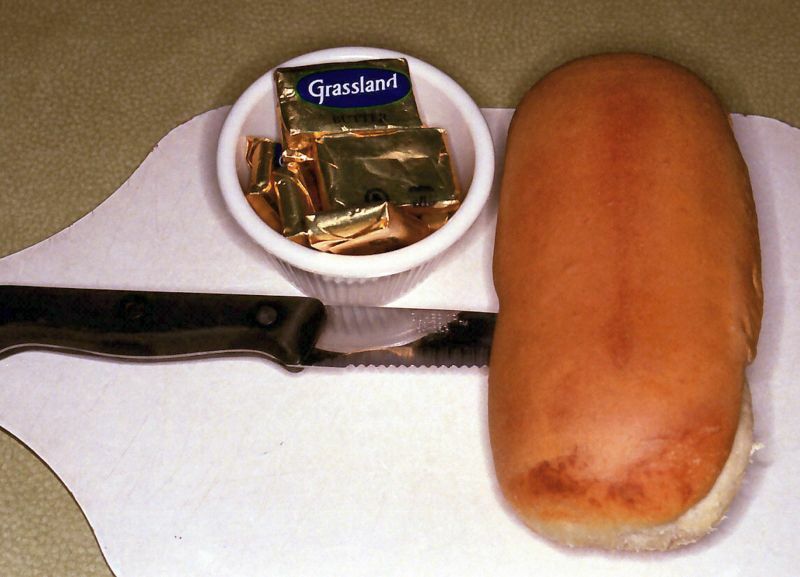 No, we didn't have to split 2 crackers between the 4 of us...there was a breadstick/cracker basket, too. 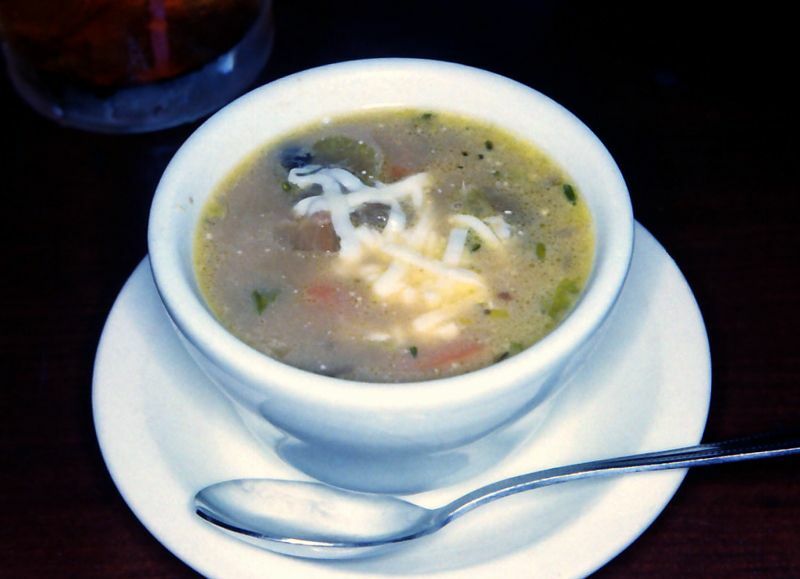 Y'know, even though it was only 2-1/2 weeks ago I'll be darned if I can remember what kind of soup this was! But it was good, because I finished it. Our younger daughter is a much more adventurous eater than we are, but that kind of makes sense because she's also a restaurant professional. Her choice? 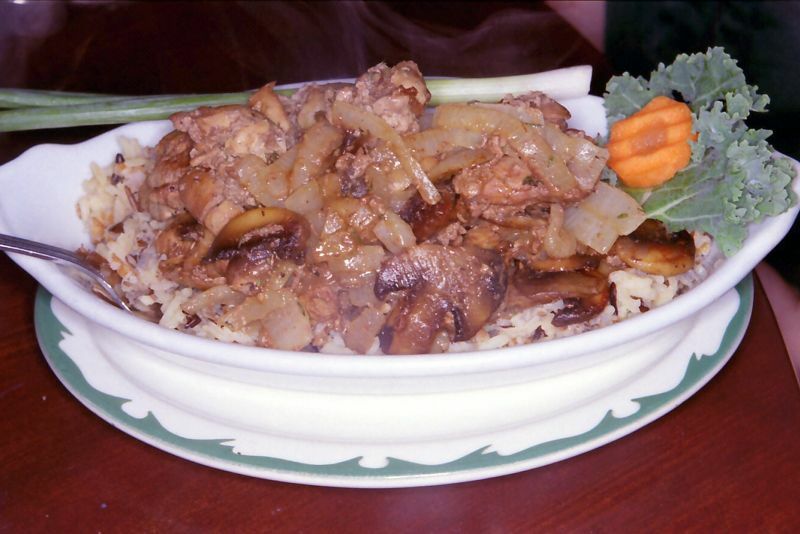 Chicken livers sauteed with mushrooms and onions, and served over rice. The serving was quite plentiful and she said they were very good, and we took her word for it. We had planned to see if the 15-month-old grandson liked the livers but I don't think we ever got around to trying. My choice was the much-more-traditional-for-Saturday prime rib. 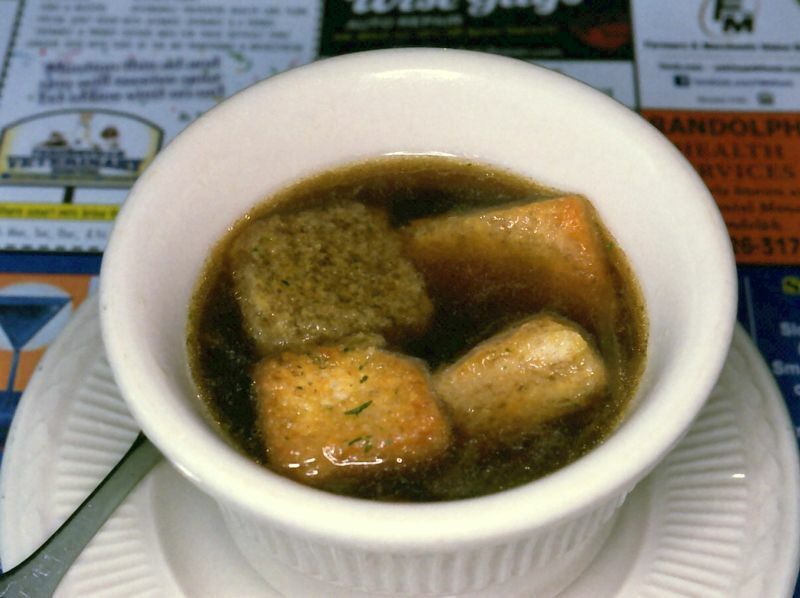 It was very good and the au jus was nicely seasoned, but I thought the Lyonnaise potatoes would've been better if they'd been sliced a little more thinly. Still, we all enjoyed our dinners very much. We've been to The Northwoods every summer since 1993 but this was our first visit to The Ranch, and I'm kicking myself for waiting so long! P.S. The Ranch makes a pretty good BOFS, but I think Silvercryst was the winner for the weekend. 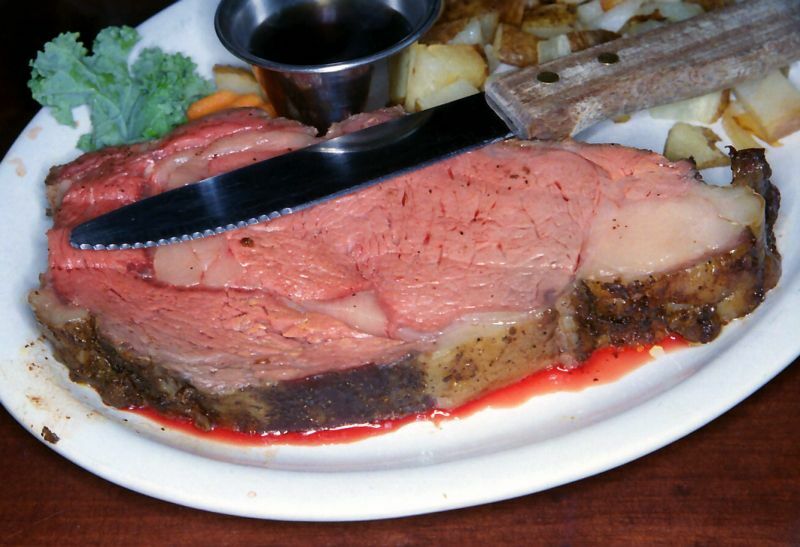 That's a good-looking piece of prime rib. I can't believe how many places there are for you to go to for these types of meals up there. It's fantastic. Thanks! 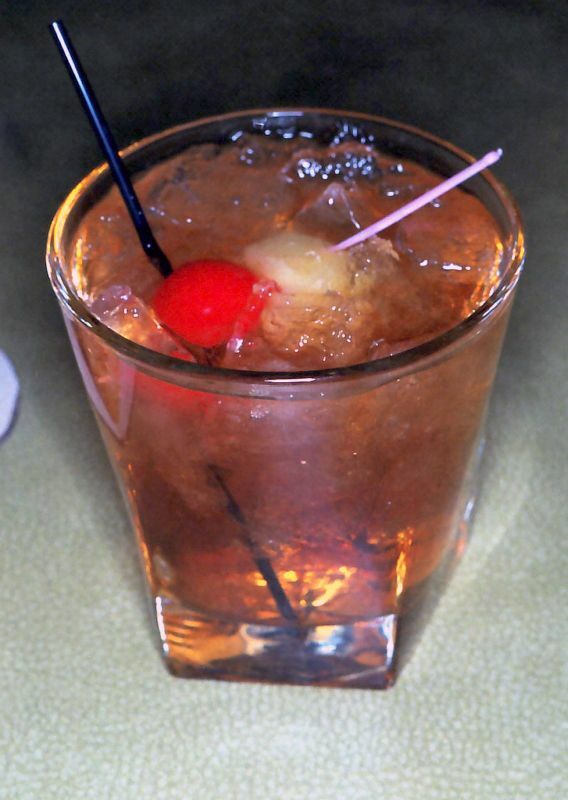 If I had the means to do so I'd make a concerted effort to hit every supper club in the state. And also have my arteries and veins replaced with some sort of space age polymer tubing so I didn't kill myself in 6 months. You need to work some Sconnie Time into one of your future trips to the Midwest! The flashcubes on my Instamatic didn't work, so my photos did not turn out. Check the batteries (unless it's an Instamatic X-15, of course). I actually have 6 flash cubes as well as a vintage Instamatic 104, so if I can ever get ahold of some 126 film that hasn't been ruined by improper storage you just might see me using it sometime. 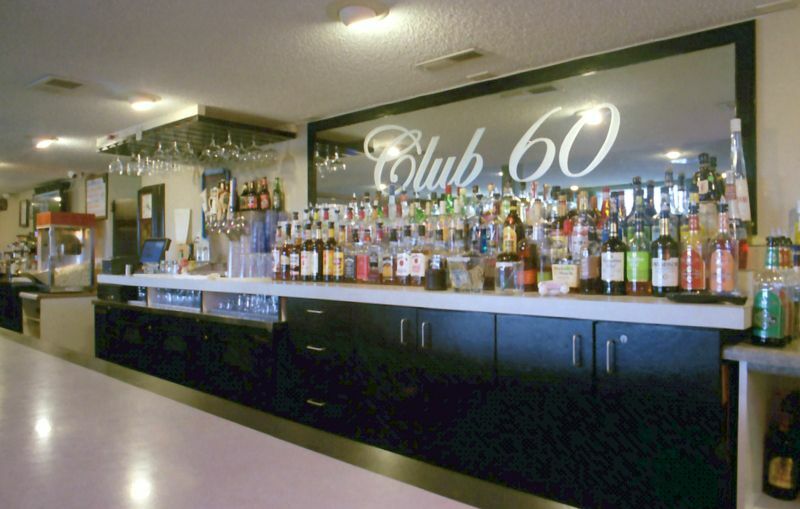 A couple of weeks back I visited Club 60, a few miles west of Columbus. 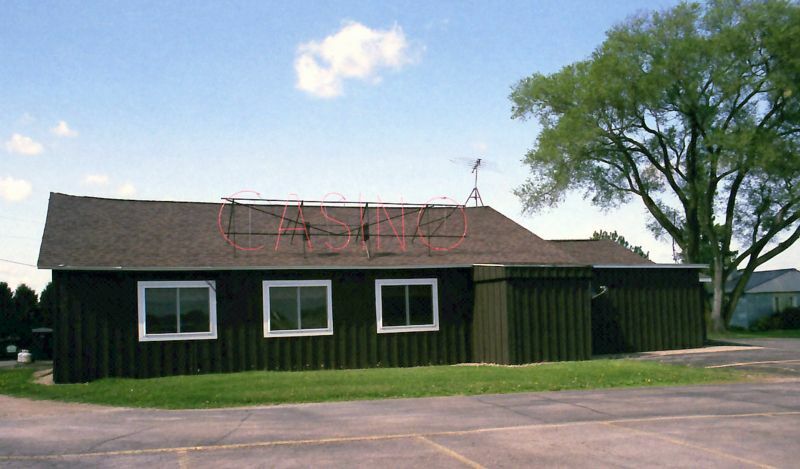 Not surprisingly, it's on state highway 60. The restaurant is to the left and there's some attached living space (a duplex, I believe) to the right. I wasn't sure what this part of the building is for. 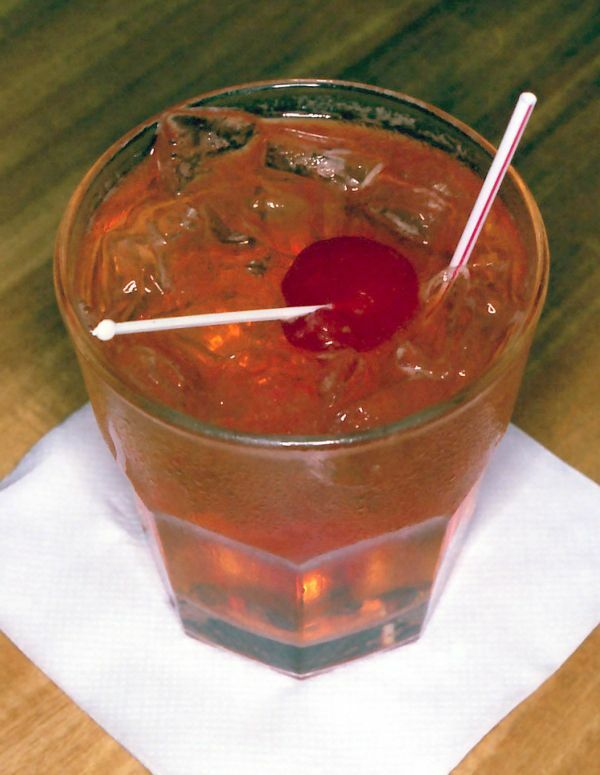 Wait...it appears to be a place to have a pre-dinner beverage! I felt like I was walking into Food Church. 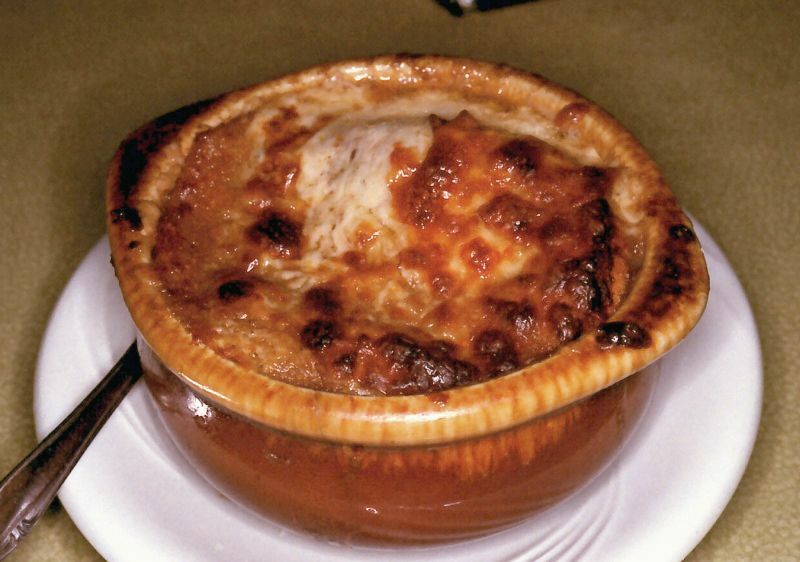 While Club 60 doesn't have BFO on the menu, onion soup is available (at least on Saturdays) at the salad bar. 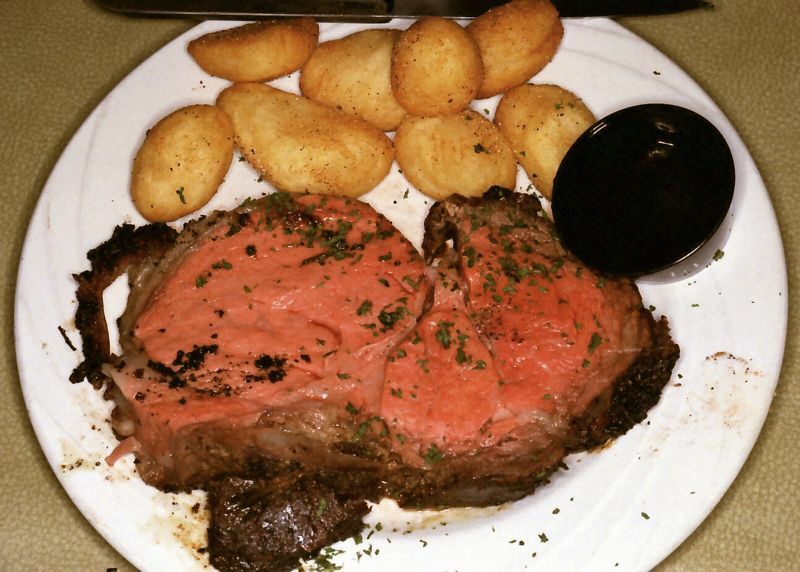 I enjoyed the prime rib. The jus was noticeably salty (I don't know if that was by design or if there was an oopsie in the kitchen) but as long as I was careful about how much was on each bite of beef it was fine, and the beef itself was very good. 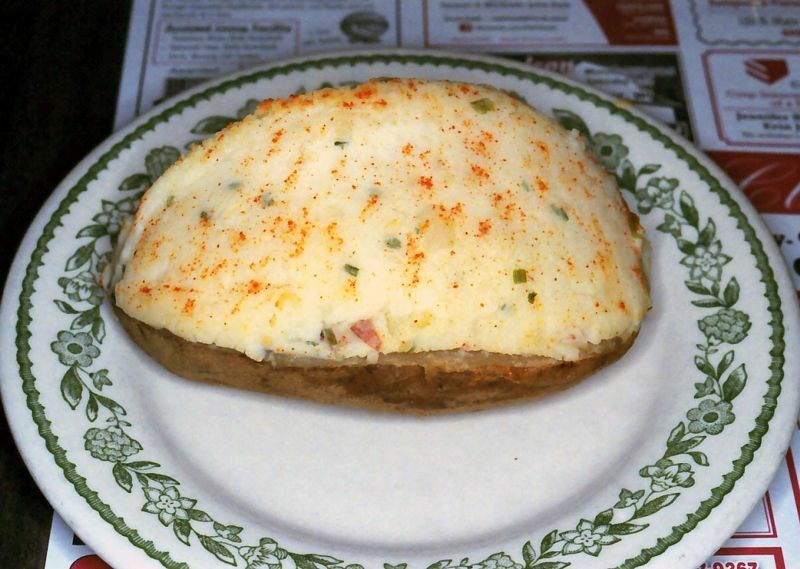 The twice-baked potatoes I'm familiar with are usually well-browned and have a noticeable crust, so this one was a bit of a deviation from the norm. However, the flavor and texture were excellent and I found that I really liked it when I dragged it through the jus. 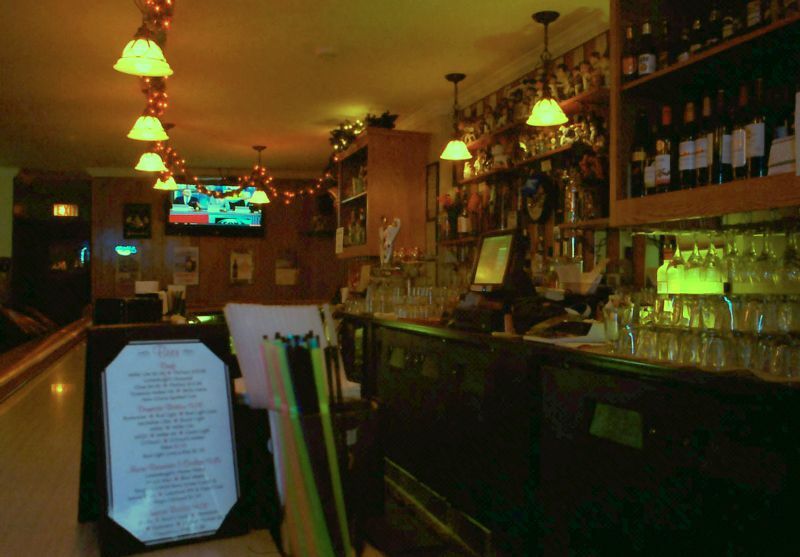 As a bonus, co-owner Lori Schwoerer was working the bar when I was there and she has a gregarious, outgoing personality - perfect for welcoming regulars and out-of-town guests alike. 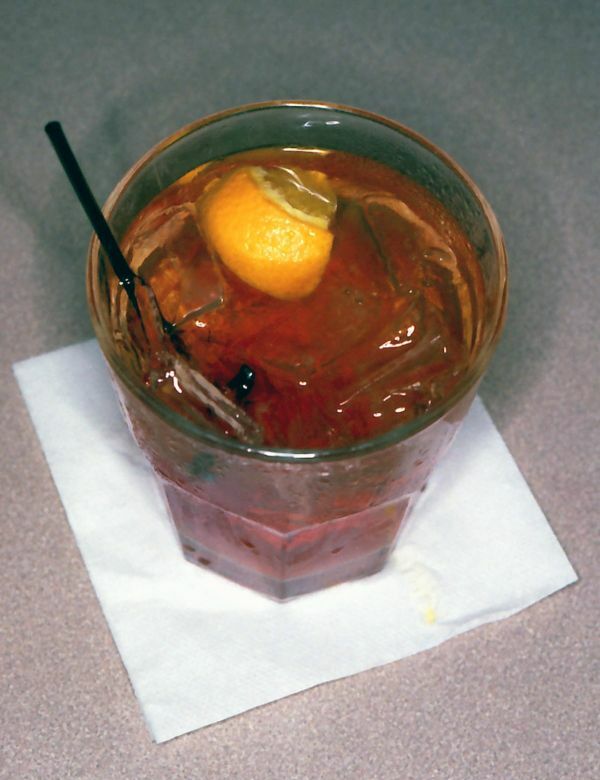 In fact, if I'd had a designated driver I probably would've made a post-dinner visit to the bar for a couple more of her BOFs, but I had to navigate the 30+ miles home myself so that wasn't in the cards. 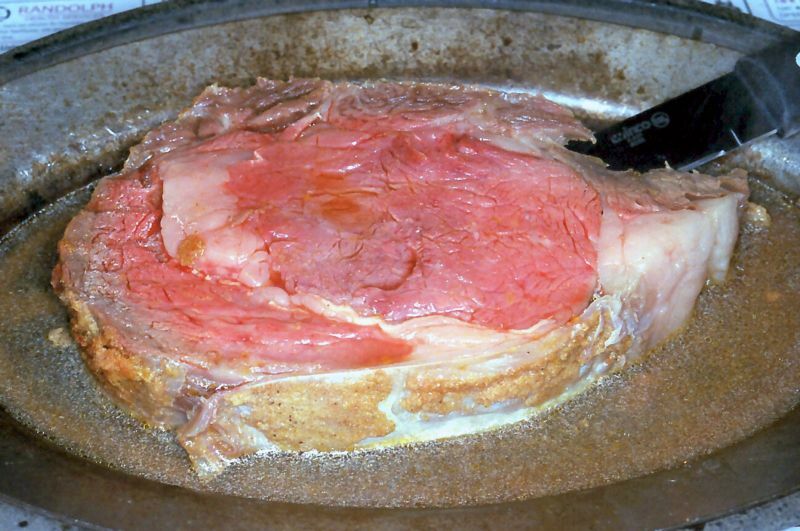 That prime rib looks perfect to me. Did you use a special "Red Meat" filter on the AGFA? I love the well seasoned "sizzler" plate. My dad had a set that he always used. I did not find prices at the website. What is the cost of the PR dinner?